How Long Does Kratom Stay In Your System, Blood, Urine? Kratom is still legal in some states of the U.S., and its effects haven’t been researched in-depth. As the average half-life of the drug is around 24 hours, it’s believed that Kratom will stay for up to 6 days. However, the slowest elimination half-life was found to be 40 hours, therefore, give yourself 9-14 days to get clean. Will I be tested for Kratom? Testing for Kratom is not common as the drug is still legal in 48 states in the U.S. What’s more, the standard SAMSHA-5 panel can’t detect the drug. Some specialized tests, though, can be used to find Kratom in one’s system. Professionals prefer blood samples, and urinalysis and don’t prefer swab or hair tests as much for Kratom detection. Kratom or Mytragina speciosa korth is a tropical tree whose leaves are used to increase the energy levels of the user, to relieve pain or just to induce relaxation. Although Kratom is becoming a popular drug, its effects and elimination haven’t been studied completely in people. What’s more, as the drug is legal in 48 states in the U.S., there’s no enough research. However, it’s believed that Kratom will clear from one’s system for up to 6 days. Dosage: Larger doses lead to longer duration of Kratom effects. Ways of administration: Note that Kratom can be ingested, chewed, smoked or made into tea. Type of product: There are different strains of leaves. Some green leaves provide a lot of energy for over eight hours, while some red leaves induce sedation that lasts between five and ten hours, on the other hand, some white leaves give you an intense rush for up to 3-5 hours. Food intake and activities: Regular exercising, for example, will help you clean your body quicker. Eating and drinking water also affect the effects of the drug. For instance, eating acidic food can lead to faster elimination. Weight and age of the user: Elder users need more time to process the drug. Also, Kratom can be used to melt one’s body fat off. The rate of metabolism and urine pH: Some health conditions can also affect the elimination of the drug as well as high acidic environments. History of abuse: Mixing Kratom with other drugs can lead to long-lasting effects and risks for the health. Research shows that some of the alkaloids that derive from Kratom are mitragynine, paynantheine, and speciogynine. Mitragynine is the most active alkaloid in the drug, which acts as an opioid receptor agonist (in particular, as a mu-opioid receptor agonist). Mitragynine is absorbed by the gastrointestinal tract, reaching peak plasma concentration under an hour, and metabolized by the liver (by the CYP2D6 isoenzymes in the liver). That makes Kratom part of that particular group of drugs called CYP2D6 inhibitors. Mitragynine is linked to two metabolites: 5-desmethylmitragynine and 17-desmethyldihydromitragynine. Highly acidic environments can destroy this alkaloid, so the pH of your urine can affect the duration and the elimination of the drug. The only in-depth research on Kratom, as stated above, wasn’t done on people but animals and has been stopped since 2015. 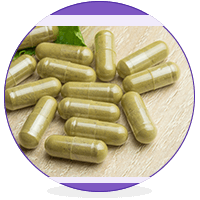 Scientists believe that the half-life of the primary alkaloid in Kratom – mitragynine, is around 24 hours, which means that you can get completely clean within six days. The slowest elimination half-life found was around 40 hours, or in other words, the user would need more than nine days to get clean. Kratom effects can last for up to 3-10 hours. Kratom can’t be detected by standard tests done by SAMHSA – 5, as the Substance Abuse and Mental Health Services Administration checks for five types of drugs (opiates, amphetamines, cocaine, cannabinoids, and PCP). Therefore, only specialized tests can detect Kratom. How Long Does Kratom Stay In Your Saliva? As the drug is not completely illegal and can be purchased easily online, swab tests are not standard, so there’s no precise data. How Long Does Kratom Stay In Your Blood? Blood tests can be performed and can detect Kratom during the first 24 hours and up to few days. The concentration of mitragynine can be between 10 and 50 micrograms per liter, while in cases of intoxication – over 100 mcg/l. How Long Does Kratom Stay In Your Hair? Like saliva tests, hair tests are uncommon when it comes to Kratom abuse. However, usually, hair analysis can provide a longer window of detection, sometimes up to 90 days. How Long Does Kratom Stay In Your Urine? Urinalysis will reveal Kratom use: the drug will show up in around six hours, and it can still be detected for up to three days. Although, it takes 6-9 days to clean Kratom out of your system, give yourself two weeks to be on the safe side. What’s even better, stay away from the drug. Just because Kratom is still legal in the U.S. doesn’t mean it is safe. Addiction Resource » Addictive Substances: The Anatomy of Drug Addiction » Kratom Addiction, Its Effects And Treatment » How Long Does Kratom Stay In Your System? You must’ve been really overdoing it if you experienced withdrawals lasting that long. Keep everything in moderation and do your homework before using and you will be fine. If you only use it twice a week, you can be assured you won’t experience the withdrawal symptoms when discontinuing usage. If you use it regularly every day at moderate doses than you can expect the withdrawal symptoms, which are quite mild especially compared to actual opiates, to last about a week or less. If you have an addictive, compulsive, obsessive personality and have self admitted, at one time or another, as an Alcoholic/Drug addict I PROMISE you…the withdrawals are brutal and are JUST like withdrawing from Opiodes! I was ingesting over 30grams + orally by the end…it didn’t start out that way. It NEVER does. It’s subtle, it’s Progressive just like ANY mind altering drug. It starts off pleasant where 1/2 tsp does you well for 4-6 hours and them by the end, 15 months, I was taking 1/2 tsp. like EVERY HOUR! Today is Day 4 and the RSL is BRUTAL. Lack of sleep, chills, sneezing, body aches, lethargy are ALL there! I hope they ban this DRUG. It nearly cost me my life! I’m back in AA and I just want to be FREE and experience that natural high I got from helping others and having a connection with God! There is no way to “Keep everything in moderation and do your homework before using and you will be fine.” when using a mood altering substance like kratom especially one that chemically mimics opiates. I became fatigued and constipated; had altered liver function and tremors. I used kratom for five years and at the end when deciding enough was enough and it was time to stop, withdrawal was hard and took several weeks. I felt like I had the flu, body aches, fever, runny nose, headache, tremors, hallucinations, etc. Sound familiar? I wasn’t using a huge amount per day either. Jay’s comment about staying away is a good one. There is no substitute for staying clean. Alice, Did you quit cold turkey or taper? Did you go through withdrawls on your own or did you have to get treatment? Good luck with your ‘tests’! Hope y’all don’t run into any Kratom-obsessed nurses like I deal with! Kratom will not make you test positive for methadone unless somehow methadone got mixed into your kratom. That’s just ridiculous. They dont even metabolize into the same things in the body which is why you have to be specifically tested for each substance (as opposed to a substance group like with some other substances). Does anyone have experience with kratom drug test and know for sure how long it actually stays in your system? I’ve passed after 4 days of not using but I was drinking a LOT of water/coffee those days and drank 2 qcarbo 16s (detox drinks) the day of the test. Anyone?